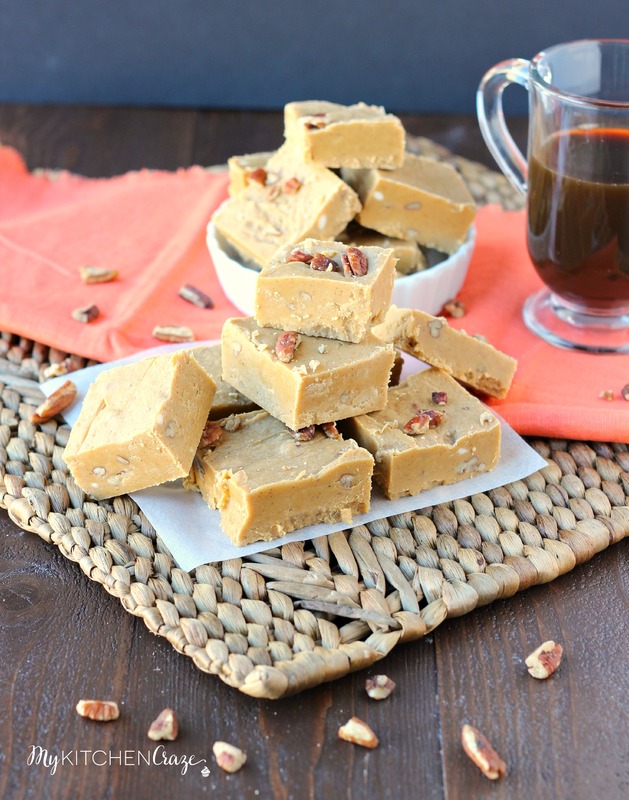 Pumpkin Fudge is a classic holiday recipe that tastes delicious and is perfect for the season! 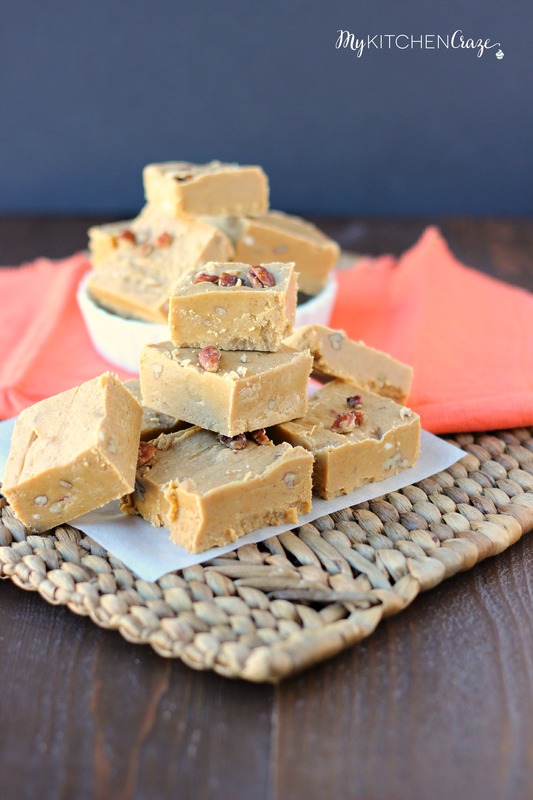 This pumpkin fudge is a wonderful gift for family and friends. 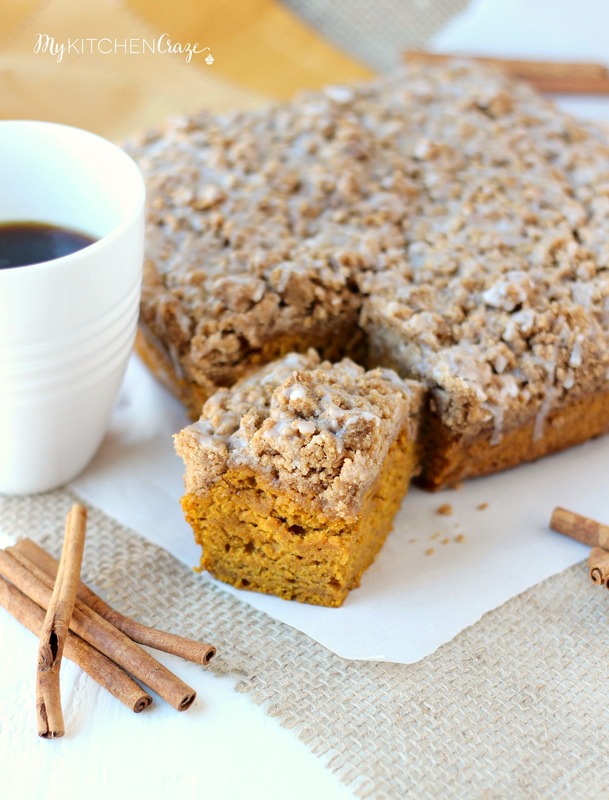 Okay guys it’s officially that time of year…pumpkin recipes! 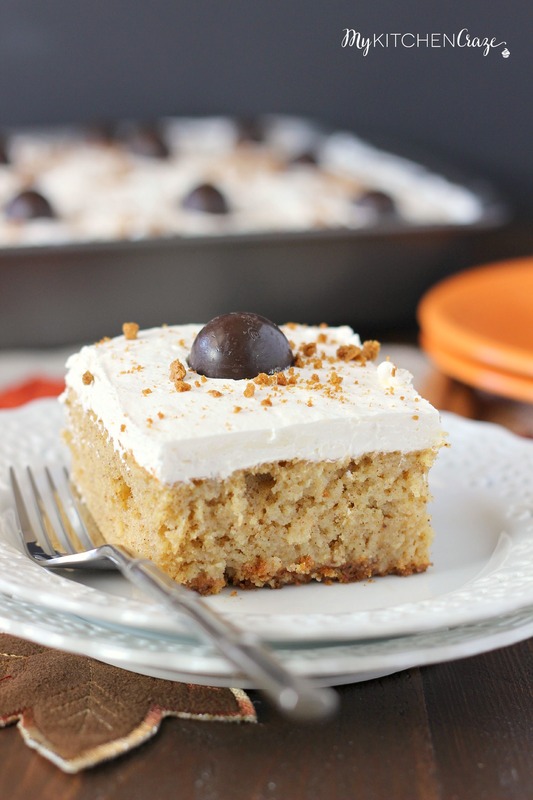 I purposely waited to post anymore pumpkin recipes until after Halloween. I’m one of those people who like to enjoy the current holiday season. I hate that I walked into Michael’s the other day and they had Christmas music playing. REALLY?! We haven’t even celebrated Thanksgiving and here you are playing Christmas music. I just think that’s ridiculous. For the remainder of November, you’ll see some pumpkin recipes here and there, some easy dinner recipes, and much more. But I promise that I will hold off on the Christmas recipes until the week after Thanksgiving. Let’s give thanks and enjoy this season before moving onto the next. Deal? 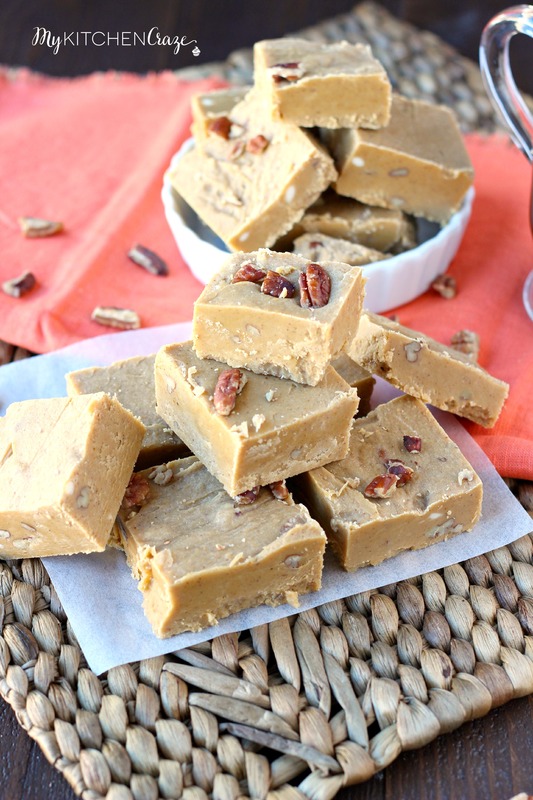 This Pumpkin Fudge recipe is a huge hit at my house during the holidays! I used to make fudge all the time with my mom when I was younger. Every holiday season we would make chocolate fudge with and without walnuts. But we never made any other flavors. I’m not sure why, but I’m glad that I’ve been exploring different flavors. 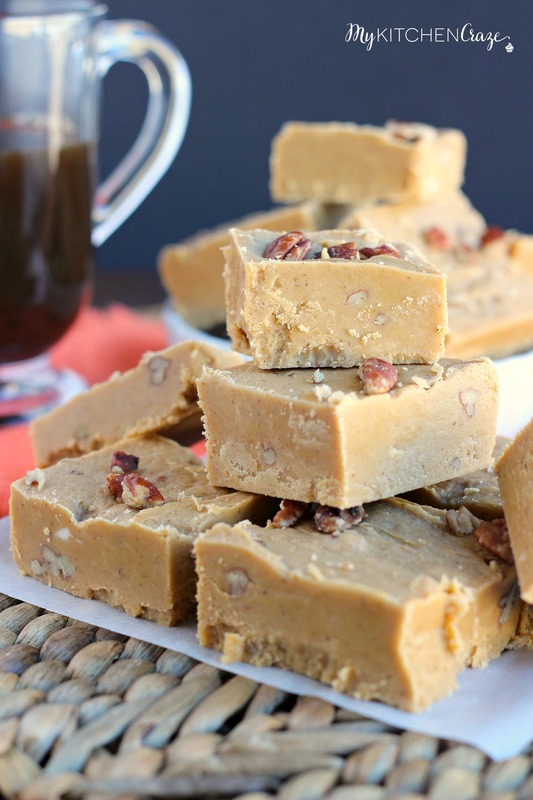 Pumpkin Fudge needs to be on your dessert table Thanksgiving day! Try this recipe. I promise you’ll love it just as much as me. Line a 9×13 baking dish with foil; set aside. 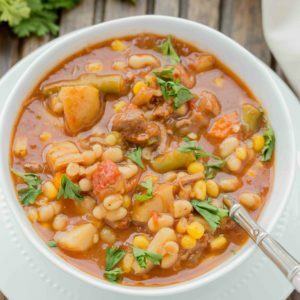 Using a large stock pot, add both sugars, butter, evaporated milk, pumpkin puree, pumpkin pie spice and bring to a full rolling boil over medium-high heat. Make sure to stir constantly or the butter can burn. Continue boiling and stiring for 10-12 minutes. 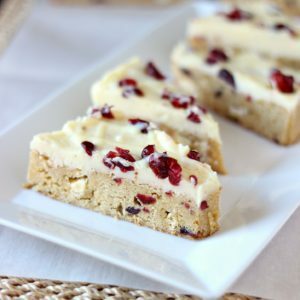 Remove from heat, quickly stir in the white chocolate chips, marshmallow creme, pecans and vanilla extract. Stir quickly for 1 minute or until the white chocolate chips have melted. Pour mixture into the prepared baking dish. Smooth out and cool on a wire rack until approximately 2 hours. Cover and refrigerate. When you’re ready to cut, remove the foil and cut into pieces. Yes! I was in Sports Authority with my son last night and they were playing Christmas music. It’s too early!! But this pumpkin fudge is just right! Haha, we celebrated Thanksgiving long ago so bring on the Christmas! 😉 This fudge looks so creamy and decadent! I agree with Ashley! Once you celebrate Thanksgiving you can totally celebrate Christmas!! Especially once it starts snowing it’s official Christmas weather. Thanks! I can see why it’s a hit…I wouldn’t able to share it! I absolutely love the holiday season but I hate how we almost skip over thanksgiving! But then again I adore Christmas so there’s that! haha This fudge sounds fantastic!! I still haven’t reached my fill of pumpkin – keep it coming!! Why have I not ever had pumpkin fudge??? I need to change that. 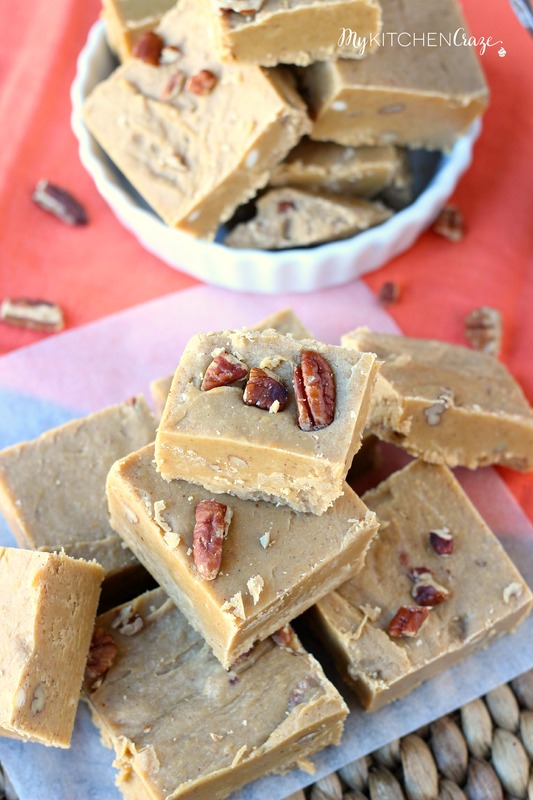 I could go for this pumpkin fudge anytime, it looks so good!! I am such a stickler about not playing Christmas music before December! I love the sound of this fudge for serving at Thanksgiving.